When considering a visit to Sedona Arizona, make sure you take a Sedona Arizona Hot Air Balloon Ride. There are many ways to see the beautiful red rock of and many points of interests in Sedona AZ. You can see it on foot with the thousands of trails, see it from one of the famous Pink Jeep Tours, or you can get the birds eye view in a Sedona Arizona Balloon ride. Arizona Hot Air Balloons is just one more way to take in the magnificent aesthetics of these beautiful rock formations. Oak Creek canyon has through the generations caved its way through these ranges. This area is rich and abundant in life of all forms. 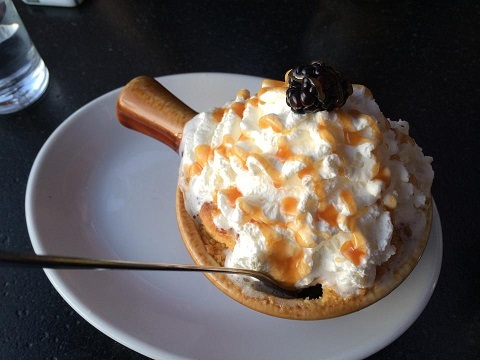 Creekside American Bistro sits overlooking Oak Creek. With one of the most beautiful Red Rock views in Sedona Arizona. You can enjoy your meal inside the restaurant or outside on their patio that overlooks the river! Let the executive chef fix you the”Breakfast with view”. The chef for years has continued to offer the most exciting culinary experience with his creative weekly seasonal changing menus. Sedona Arizona has many things to offer people visiting Arizona. Fine dining, a total of 80 exquisite art galleries, multiple levels of lodging that caters to every walk of life. There are multiple bed n breakfasts, hotels, motels, resorts, cabins on the river, RV and tent camping, along with vacation rentals. 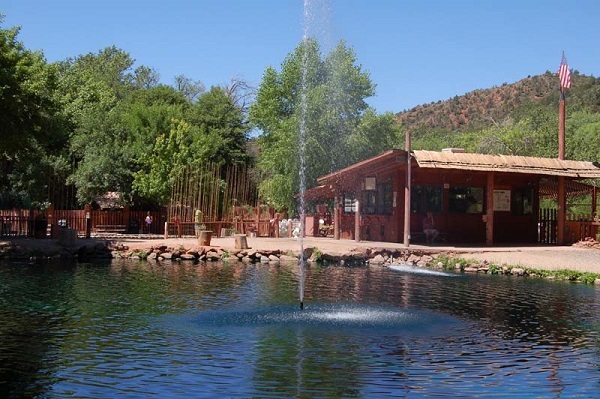 If you like outdoors style activities, head up the Oak Creek to the Rainbow Trout Farm. It is there you can catch some fish and you can cook them right on site. Relax under the shade canopy as the kids giggle and make memories of catching their 1st fish. With the peaceful Oak Creek Canyon running in the background. This is an exciting option during the day after you have taken an exciting Sedona Arizona hot air balloon ride. Keep heading north up the river a few more miles and you will pass multiple creek side cabins that you can rent for the evening. Get settled in the cabin for the evening and it is here you can reserve a Sedona Arizona balloon ride for the next morning. 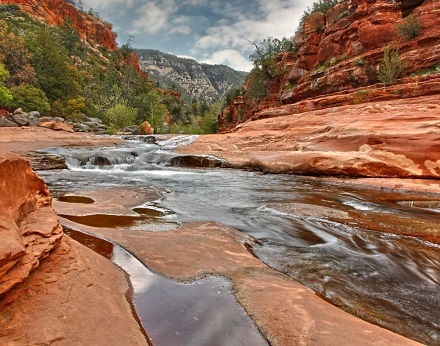 Make sure you check out the beautiful Slide Rock State Park. Slide Rock has some of the most beautiful formations and the coolest water for the warmest of days. Check it out and you will see why this is a place the Arizona residents cherish throughout the year. Grab a Sedona Balloon ride in the morning, pack a lunch and swim all day. These are family memories you will not forget. **Note** Veterans get into the park for free! It does not matter what you do while here in the state of Arizona. Get out of your resort and see this place. There is nothing like it on earth. With our consistent weather and year round entertainment for all walks of life, why go anywhere else? Arizona Hot Air Balloons wishes you very safe travel and would like you to join us for a Sedona Arizona hot air balloon ride. Call our professional staff and they will also give you great ideas similar to what is mentioned above. We look forward to sharing the memory of a lifetime with you and yours. Call us for more information on our Sedona Arizona balloon rides or make a reservation today! Gentle Breezes and we will see you out there! Remember that you have a friend in the ballooing business!